Welcome to Grace Chiropractic Center the neck and back pain center for Cabot Arkansas. We specialize in neck and back pain, sports injuries, school physicals and auto injuries for the Cabot and central Arkansas area. Our goal is to help patients get back in action and the physical activities they enjoy performing. People can get an idea of what it’s like inside out office at: https://www.facebook.com/Gracechiropracticcenter/ I have found that most patient’s complaints are simple in nature due to over use, strains/sprains or a combination of muscle/connective tissue and joint problems that occur from everyday events in their life. These typically respond to conservative care quickly and fully. Neck and back pain would be the most common of these everyday problems people have. Sciatica (pain down the back of the leg) and headaches would probably be the second most common symptom. Symptoms experienced during pregnancy would be another common complaint that we see everyday. Clinics are always going to be known for something, it is my desire for our office to be known for getting people better faster. The other aspect of everyday complaints that we see are the more complex types of injuries that have longer lasting symptoms and recurring problems. 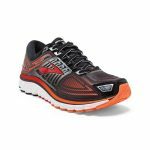 These may involve the vertebral disc, ligamentous injury, spinal compression, or scoliosis. These typically require longer treatment plans and more extensive physiotherapies with home exercises. Our Chiropractic treatments often include physiotherapy-stretches/exercises, corrective postural changes and helping the patient to becoming aware of how they move and function. This is important to help prevent a recurrence of the same problem. If a office worker maintains the same flexed forward posture while they are working on a computer their body tends to have a residual flexion to their posture. This is called anterior antalgia or leaning forward when it’s not necessary. There are many examples of small changes we can make in our everyday lives that can have a large impact to how well we adapt to repetitive activities. 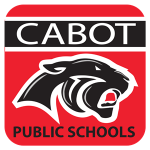 The Cabot public school district has a extensive sports department that involves a large number of young athletes. We are proud to support the Cabot high school and the students that participate in the sporting events through chiropractic treatments and rehab therapies. The city of Cabot has a large number of non-school related sports such as: dance teams, cheer, swimming, weight lifting, body building, biking and running. Grace Chiropractic sponsors athletes in all of these events. It is rewarding to see the competitiveness, progress and sportsmanship displayed at these events. Dr. Clay is happy to be apart of so many activities and helping these people perform to their highest level. So many people hesitate to take advantage of chiropractic because they may not know exactly what we do and we understand that. 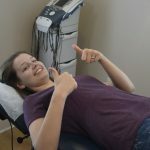 I can honestly say that one of the most common statements our new patients state is ” I wish I had come here sooner”, ” Grace Chiropractic Center is the best”, ” I felt better after the first visit”, “Everyone should use Grace Chiropractic Center”. 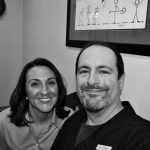 Dr. Clay has been a chiropractor since 2001 and continues to work to be the best chiropractor in Cabot Arkansas. What makes our office different? We listen to our patients and understand that we work for them to get them back in action in Cabot. Educating our patient on the nature of their injuries, how to treat them and how to prevent further injury is part of every visit. That’s just how we are. Welcome to Grace Chiropractic Center the neck and back center of Cabot Arkansas. The next generation of chiropractic in Cabot. Grace Chiropractic Center KT taping.